You may want to insert an image on your bio page, home page, or even as an additional, more detailed image for a piece of artwork within the image description. Here are the instructions on how to insert an image. First, make sure you've uploaded your image(s) to your Image Library. You will see our standard 'Content Editor' text editing box. Depending on where you are, it may be called 'XYZ Content' or 'Description' or 'Extra Text', if you are working with an image or gallery. Click in the 'Content' text editing box and put your mouse cursor where you want to insert the image. Click on the 'Browse Server' button in the dialog box. Select the image you want to insert. When you select, you have the option of using the normal (lower resolution) version of your image or the full-sized, original version (what ever you uploaded to our system). You can change the width or height numbers in the dialog box (see below). 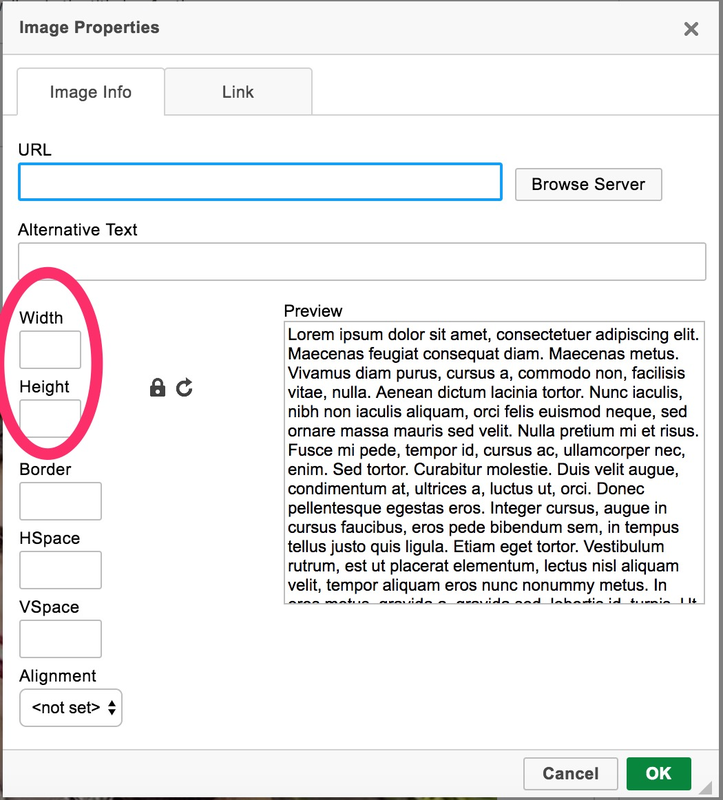 If you want to associate a specific webpage with the image, click on the "Link" tab in the Image Properties dialog box (see image above) and enter the full URL (including http://...) in the URL field. If you would like for a new tab or window to open up when a visitor clicks on the image, select "New Window (_blank)" in the Target dropdown list.